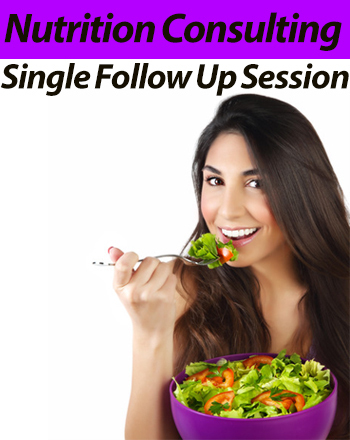 These sessions are available for those who have done the Initial Assessment and Diet Plan and want to do single follow up sessions instead of buying a package of 3 follow ups. Please note this option is not available for first time clients. Follow-up sessions (30-45 minutes) include: progress assessment (including measurements), introducing changes to your diet and/or supplement plan and identifying and resolving barriers.